The chipped 5K is a loop of the course below. 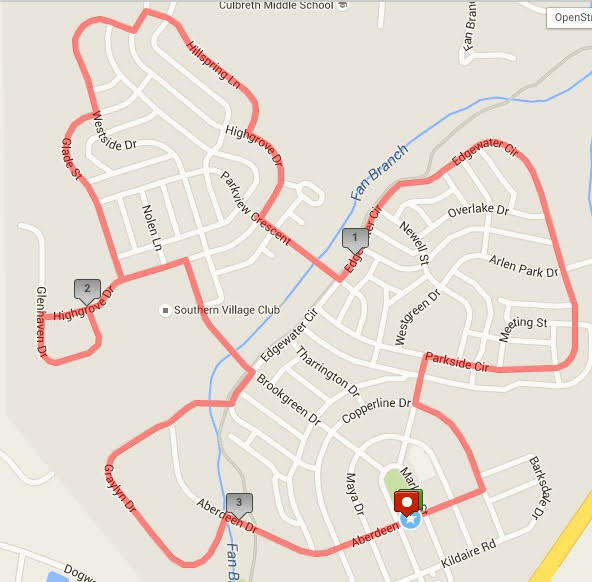 The race course winds through the Southern Village neighborhood of Chapel Hill. Designed to be family friendly, it has just a few rolling hills.